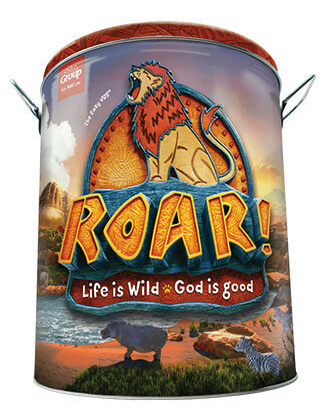 The Roar Digital Kit includes physical resources and samples just like the standard starter kit, but it also comes with the Digital Download Access Pack. This pack includes a USB drive loaded with digital leader guides, music, videos and more. It opens up all-new ways to manage, share, and utilize your VBS content. The Roar Ultimate Starter Kit Plus Digital allows you to deliver resources with the touch of a button. You can hand volunteers the manuals from your Starter Kit or e-mail pdf&apos;s so they can use whichever format feels most comfortable. The Plus Digital kit also safeguards against leaders who might lose that that ever-important Sing & Play manual at the 11th hour. For full kit contents, click here. If there are two VBS Directors, can each download a copy of the Director&apos;s Manual? No. Group&apos;s permissions do not allow duplication. The permissions for the digital version is the same as for the printed version. But, with the Plus Digital kit you will have two copies; the digital copy and the printed hardcopy. Can the Station Leaders download their Leader Guides separately? Yes, the will need the church&apos;s log in information for their DDC account or the director can download it and e-mail it to them. Is the Wold Youth Leader manual included on the USB?